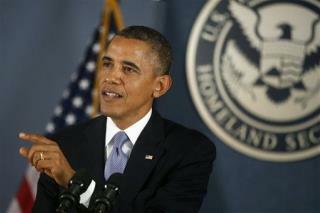 (Newser) – President Obama and Senate Democrats have put a long-term measure to raise the debt ceiling on the table. The legislation would boost the debt ceiling by $1 trillion, the Washington Post reports—though Dems say in order to avoid default, they might OK a short-term solution instead, even if it lasts just weeks. Politico, however, reports a divide between top Senate Democrats and the White House, with the former frustrated that the administration is showing flexibility. Though the administration is now distancing itself from a short-term plan, senators fear the president may be inching closer to negotiating with Republicans over the default risk. That risk is growing, with experts telling the Hill that the "drop-dead date" to raise the ceiling is, perhaps appropriately, Halloween. "The one thing we know for sure is that by Nov. 1, they will be out of money," says a Goldman Sachs analyst. That's when $67 billion in Social Security, Medicare, military, and other payments are due. Meanwhile, lawmakers are working on sending back payments to furloughed workers—but even that is running into problems. After the House unanimously passed a measure to do so, Republican Sen. John Cornyn warned that it was "premature to be dealing with that until we deal with the underlying problem," Roll Call reports. Senate Dems plan an up-or-down vote that aides say is likely to get the measure through, the Post notes. Some 70% of Americans disapprove of the GOP's budget tactics, a Post-ABC News poll finds; 61% disapprove of congressional Democrats' handling of the situation, while Obama's disapproval rating is at 51%. His approval rating, however, climbed from 41% to 45% in the past week. We're supposed to believe an ABC poll after they've been caught lying?